Postcard FI-2007427 brought "Greetings from Luosto" from Finland. 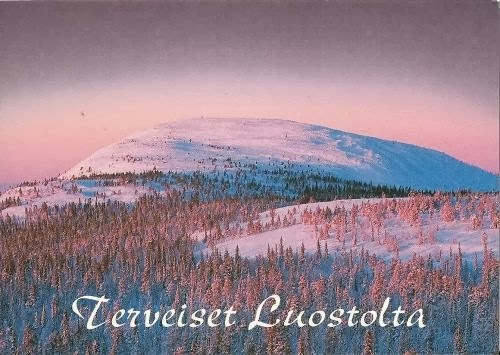 Luosto is a mountain in Finnish Lapland with an elevation of 514 meters or 1686 feet. It's part of the Pyhä-Luosto National Park. The area is home to ski centers, and the Finnish Meteorological Institute weather radar. As Getty Images just opened up embedded photos, my search of "Luosto, Finland" on their web site returned only the following photo. Their embed tool is very simple to use. However, I wish there were an option to allow customized size.